“Ruth Allen wrote and recorded a song titled, ‘You are never too old,’ and is living proof of those lyrics,” said Ruth’s daughter Gail. Allen volunteers to entertain the “old folk,” as she calls them even though many are younger than she, every Wednesday at the Sunrise seniors facility on McBean, according to Gail. Allen lived in London up until she moved to the United States ten years ago. She moved to Valencia a year and a half ago, after living and performing in New York. While in London, Allen was the resident entertainer at London’s Savoy Hotel and has played Carnegie Hall with Michael Feinstein, according to her daughter Gail. Ruth Allen, then known as Ronnie Graham, at the Astor Club in Berkeley Square. Ruth Allen began her singing career in blitz ravaged London when the show went on despite the air raid warnings. After the war, under her stage name, Ronnie Graham, she began recording as the ‘talk of the town’ – the girl with the white grand piano at the chic Astor club in Berkeley Square and touring Europe where she met Billie Holiday at the Mars Club in Paris. When love intervened in the shape of an American GI, Ruth began a new life, a family and an enduring love affair with the USA. But she never lost the passion to sing and write songs. In New York, after meeting and performing for Duke Ellington, she was offered a contract by Columbia Records, performed her own composition in a royal Command performance in England, spent eight years as the resident singer/pianist at London’s famous American Bar at the Savoy Hotel and appeared for Michael Feinstein in New York at Carnegie Hall. Still recording and performing today, Ruth is also hoping to see her East End Musical ‘Ring Out the Bow Bells’, with 18 of her original songs, on stage in the near future. This book is a brief, factual, historical walk through a very interesting time in history. A walk through war and peace as well as sadness and happiness. The international walk of a fabulous female, occasionally in the spotlight – too often in the shadows, until now. A phenomenal singer, pianist, lyricist, composer, storyteller, glamorous entertainer, woman of the world, friend and last but certainly not least, Mother. 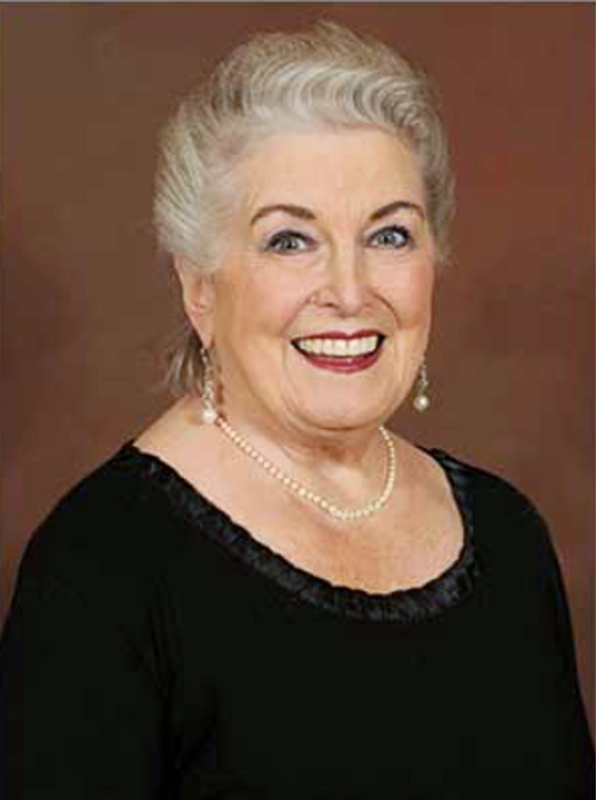 Ruth has weathered every storm thrown her way and come out singing and swinging each time as she amazingly tackles a healthy 85 years young this year (2014). With her beautiful smile and hopeful, youthful outlook throughout a life that’s been anything but a walk in the park, she is an inspiration. We won’t give you the whole story here and now, we hope you will find your way to the websites listed above and order your copy of Ruth’s Musical Memoirs and enjoy the twists and turns of Ruth’s life story. You will read about the birth of Ruth’s musical, Ring Out the Bow Bells, with 18 original songs. Ruth’s struggle to find an ‘Angel’ to help get it on stage for the whole world to hear the marvelous songs and enjoy the wonderful characters she has created to celebrate the East End of London in all its glory. Ruth is now happily residing in Los Angeles near her middle daughter, Beth. Her musical talents are being enjoyed as more and more people are realizing the very talented woman in their midst . 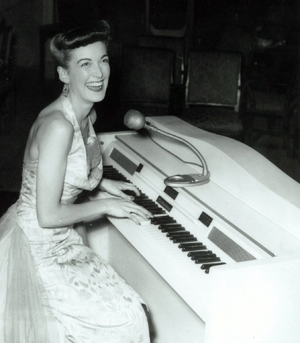 From volunteering as a Musical Therapist to private exclusive events and guest appearances at LA piano bars… Ruth is still vital and vivacious and thoroughly enjoying life to the full. She is living proof of her own theme song: ‘You’re Never Too Old – the Trick’s Not to Die … Till You Do.